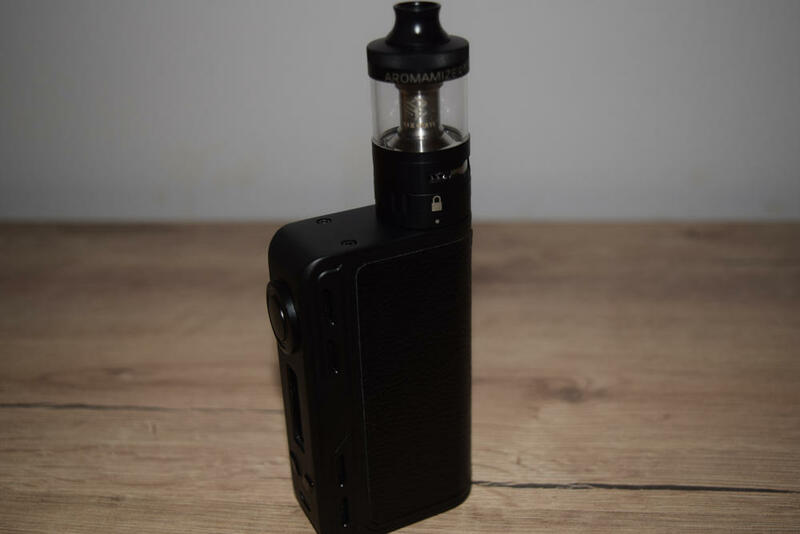 The Smoant Charon is a dual-18650 battery mod that combines a classic, ergonomic design with the most advanced features vaping technology has to offer, such as on board balanced charging and fast charging. It has a maximum power output of 218W and is supposedly firmware upgradable. In case you’re wondering about the name Smoant chose for this mod, it was actually named after the Greek mythology ferryman who carries souls of the freshly deceased across the river Styx, to the world of the dead. Why the Chinese company opted for what many may consider a creepy name, I have no idea. The Smoant Charon comes in a large rectangular cardboard box with a life-size picture of the vaporizer on the front, and a short description of the device on the back. Inside the box, we have the Charon 218W mod, a micro-USB cable for charging and firmware upgrades, as well as a user manual, a quality control check card and a battery safety illustration. It’s basically your standard mod offering. 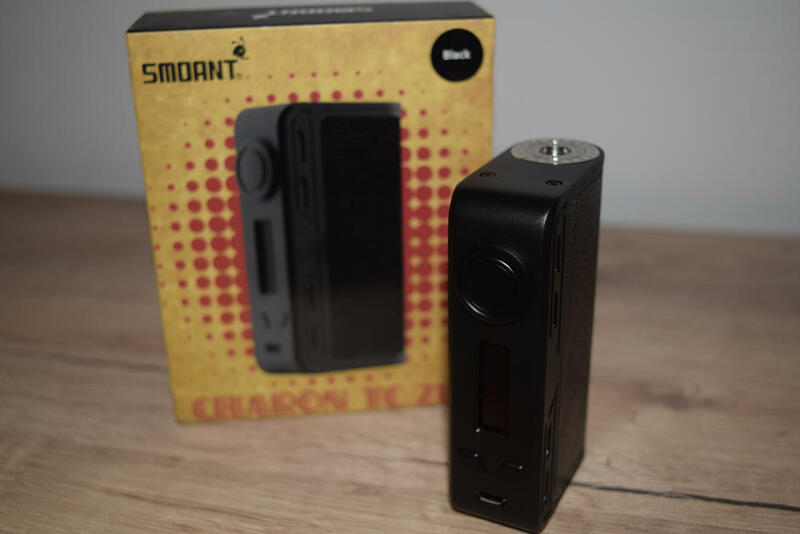 The Smoant Charon has what some like to call a “C frame mod”, which basically means that it consists of a metal chassis shaped like the letter “C” and a sleeve-like cover that slides over the batteries and the plastic body of the device. This is a classic design that used to be quite common before hinged bottom doors became popular with designers, around the time that the best-selling SMOK Alien 220W became the undisputed king of dual-battery mods. I wasn’t a big fan of C frame designs at first, after trying some not-so-well-made mods, but if properly executed, this solution works very well. 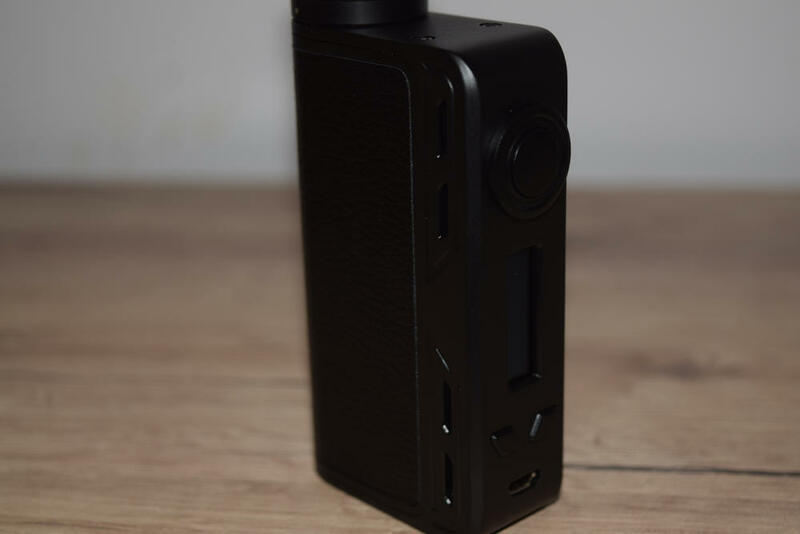 Thankfully, Smoant have done a very good job implementing the design on the Charon. There is plenty of space for the batteries, making it easy to insert and remove, and the sleeve locks on to the chassis, thanks to a two pairs of magnets. That may not seem very important, but feeling the battery cover wobbling in your hand is unpleasant, not to mention having it come off completely when you least expect it. 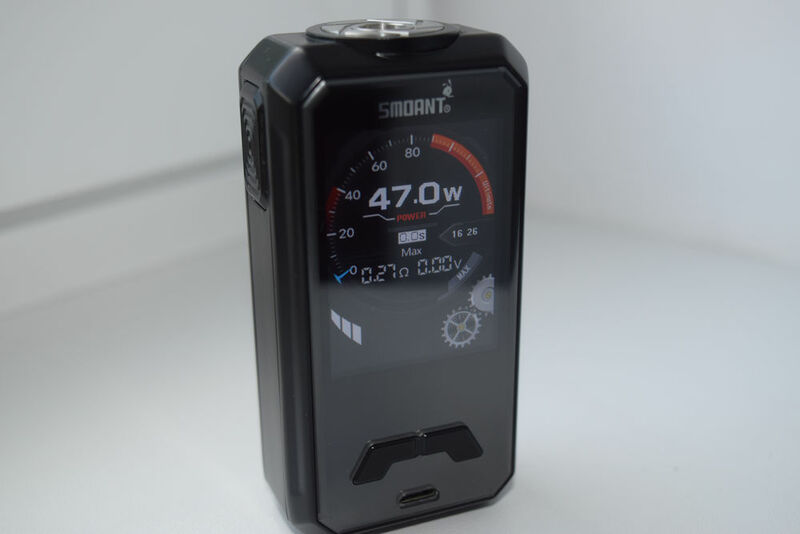 Measuring 91 x 25 x 53 millimeters in size, the Smoant Charon 218W is not the most compact dual-18650 mod money can buy, but that’s not what the Chinese company was going for. 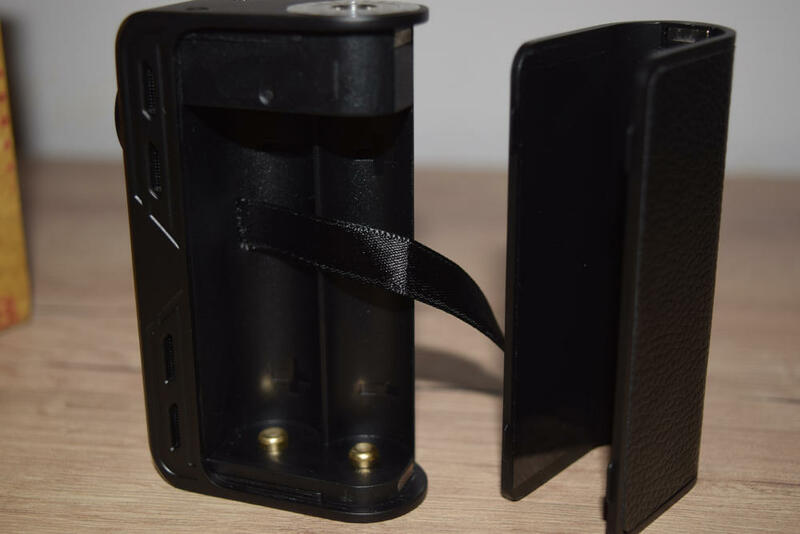 They’ve already proved that they can build small yet powerful dual-battery mods with their popular Battlestar, but this time around they went for a beefier device that fits great in the hand and has some weight to it as well. I’m perfectly happy with the size, it fits in my jeans pocket and it just has manlier look to it. Some of the most note-worthy design features of the Charon include a leather-like sticker on the battery door/sleeve. Smoant actually refers to it as “quality leather”, but I for one doubt it’s genuine. Even so, it does have a realistic look and feel, and it’s holding up really well after two weeks of use. Smoant offers these leeves in various colors and artistic designs, allowing you personalize your device. Another thing that caught my attention was the number of battery venting slots. This thing has no less than 10 such orifices – four on each side of the chassis and two more on the sleeve – which are supposed to keep both the board and the batteries at safe temperatures even in extreme conditions. The protruding fire button seems larger than it actually is, due to the plastic ring around it, but it’s still very comfortable to use. It does rattle a little bit when you shake the mod vigorously, but the sound of plastic on plastic is not that annoying. 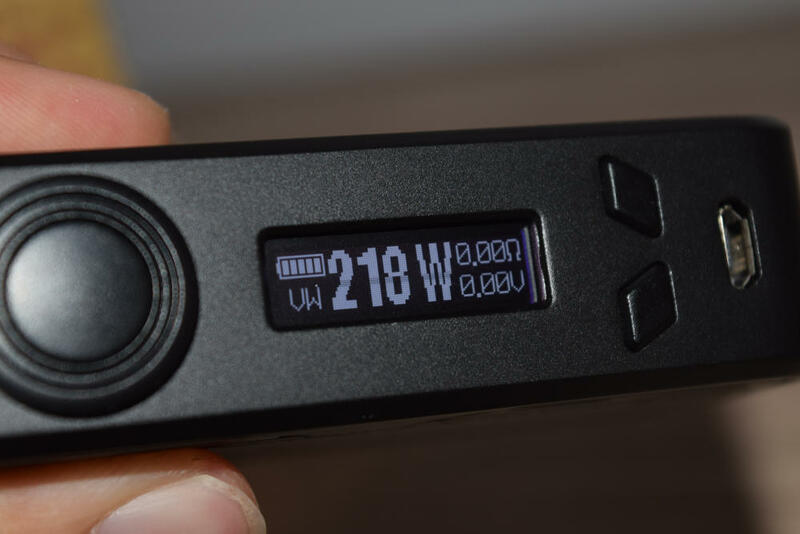 Under the button, we have a rectangular LED display similar to the ones SMOK used on its products before the Alien came out, and further down we have the “+” and “-” buttons, as well as a micro-USB port. The Charon is made primarily of zinc alloy and has an anodized paint finish that at least looks very durable. I haven’t had any issues with the paint job, but, then again, I have been very careful with it during the testing period. If you’re a fan of classic box mods, but prefer rounded corners to the jagged edges of devices like the Limitless LMC, you’ll definitely like the look and feel of the Smoant Charon. It’s also a very solid device, overall. 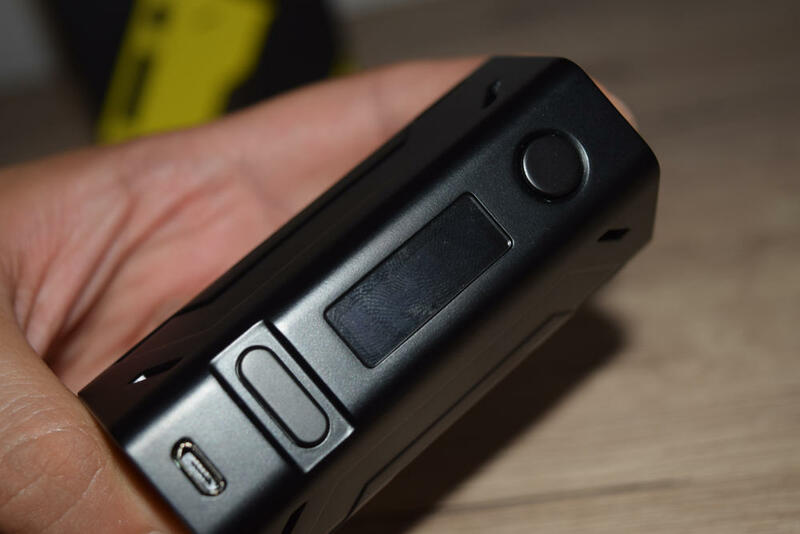 The Smoant Charon is based on an in-house developed chip called “Ant”, so it has a custom menu and navigation system. It’s not completely different from other advanced mods, but it does have its particularities. To access the menu, you need to press the fire button three times. Then, you’ll be able to scroll through the different options using the “+” and “-” buttons, and just press the fire button again to confirm your choice. 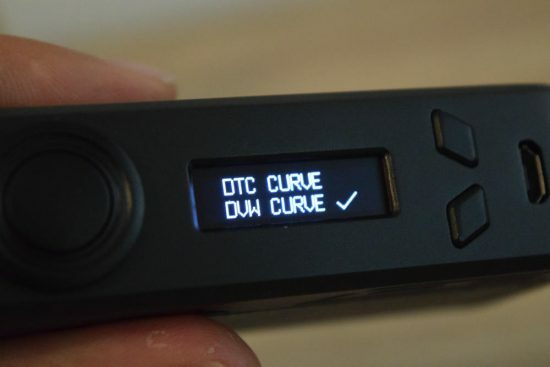 Basically, that main menu allows you to choose between variable wattage mode, three temperature control materials (Ni200, titanium and stainless steel), TCR, and two curve options (for VW and TC). That’s all there is to it, which I found very surprising, but that was before I learned that most of the settings are done on the homje screen, through various button combinations. I don’t feel like going through all the different settings and button combinations, since they are all mentioned in the user manual, but just know that you will have to memorize a fair amount of combinations in order to do stuff like lock in your atomizer resistance, lock the power button or adjust the wattage in temperature control mode. 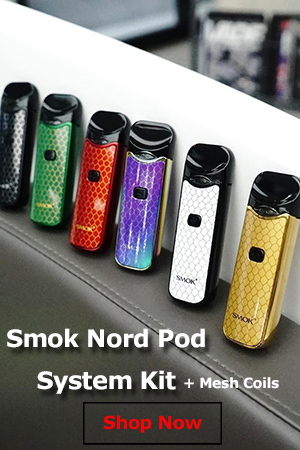 So you need to contact Smoant to hopefully upgrade your device, which seems unnecessary. This is definitely a pretty big con, as far as I’m concerned, and I hope Smoant finds a simpler solution soon. The display is decent, although a little small for my taste. 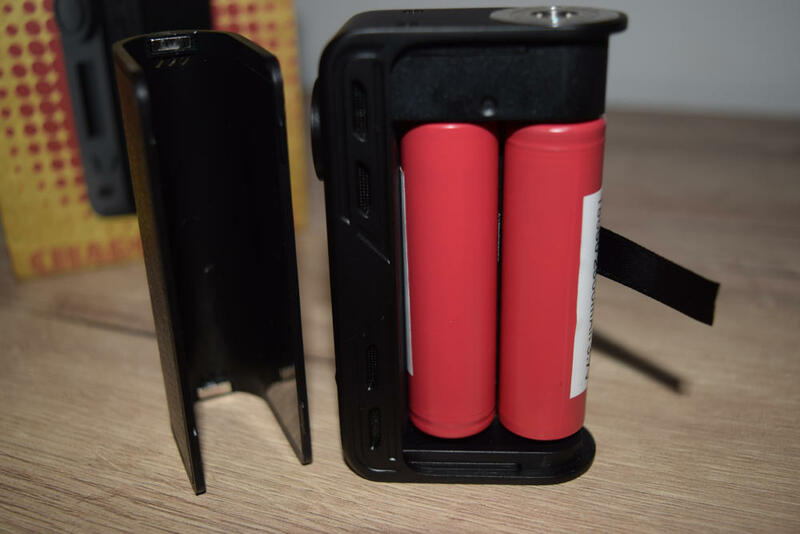 It’s very bright and offers all the basic information you need, but it doesn’t even come close to the layout of the SMOK Alien, which is pretty much regarded as the golden standard for dual-battery mod displays. As is always the case with adjustable wattage/temperature devices, getting even a decent estimate on battery life is virtually impossible. It depends on what batteries you are using, the resistance of your coils, how much you vape and how you vape. I can tell you how much vaping time I’ve been getting out of it, though. So, I’m using it with my favorite batteries, the LG HG2 (3,000 mAh) with dual stainless steel coils (0.15Ω) at 80W, and I get an average of around 10 hours before the “low batteries” warning pops up on screen. That’s pretty decent. Now, in terms of performance, I have some mixed feelings about the Charon. I want to say I love it, but it does have some issues that I can’t ignore. One of the things I love most about it is the responsiveness. You just press the fire button and it instantly activates the battery. There’s basically no delay, which is great. But, if you like to play with preheat settings, you can’t really do that because of the curves issues I mentioned before. So you’re basically stuck with the default setting, unless you go through the trouble of emailing Smoant to hopefully be able to upgrade the firmware. Another issue I noticed about the Charon was how strong it seemed at certain wattage levels, compared to other mods that I knew for a fact were pretty accurate. I don’t have the equipment or the know-how to properly test the power output, but I am a big fan of DJLsb Vapes, so I checked his YouTube channel, and it turns out that the Charon is indeed overpowered, firing at between 10W to 30W the value displayed on its screen. That’s better than being underpowered, but it’s still misleading, so I’m going to call that a con. You don’t want to ruin a coil by vaping at its maximum recommended wattage and get a dry hit because the Charon pumps out more power than you need. 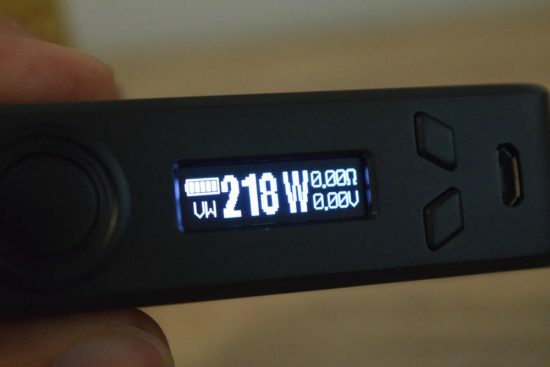 Luckily, knowing that it’s overpowered, I was able to set the wattage appropriately, and enjoy the responsiveness and quick ramp-up. So I ended up enjoying my vaping time with the Charon, but I just hope people learn about this issue, or, better yet, Smoant release a firmware update to fix it. I didn’t spend too much time playing around with temperature control, but I can tell you that it seems to be stable. I used the same stainless steel dual-coil setup in temp control and the Charon never jumped back to wattage mode or display any errors. It seemed to adjust the power accordingly to control the temperature, although it seemed a bit too strong in this mode as well. But overall, I think it’s a good temp. control mod, if you’re into that. I can’t think of any other issues I’ve encounter during these last two weeks of testing, so overall I enjoyed my time with it, but it has some issues that need addressing. I really wish I could only talk about the Charon’s strong point, I really do. I dig the C-frame design, the build quality and that instant battery activation, and I could also overlook the problem of this device being overpowered, if Smoant would just hurry up and fix it. But it turns out that it’s been a known issue for a while, and they still haven’t released a firmware upgrade. That also means that the wattage/temp. control curves feature is currently unusable. If they finally get around to fixing this issue, I will come back and change my rating, but as things stand, I can’t give it more than 3.5 stars. 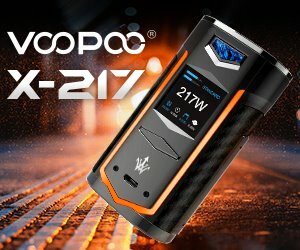 Looking for a great deal on the Smoant Charon 218W mod? Check out this great offer. Thank you for sharing the button combinations in your review!